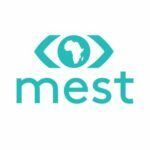 MEST’s June summit is set to bring together entrepreneurs, investors and executives from Africa, Silicon Valley and Europe to network and discuss trends, challenges and opportunities affecting markets across the continent. MEST head Aaron Fu said the organization is excited to be able to bring leading players in the tech and investment space to Cape Town.“The MEST Africa Summit serves as a meeting ground for pan-African entrepreneurs, investors and ecosystem partners, and this year looks to ignite discussion around the real challenges and opportunities businesses face when reaching scale, as the startup space in Africa continues to mature,” he said. Attendees can expect panel discussions around what the best African country to start a business is, fintech, agritech and blockchain innovation, among other topics.